If you’re a rookie at the whole massage thing, you may be asking yourself some questions like: how will it help me, do I have to get naked, what happens after, how often will I need a massage .... The Glam Room is ready to take you from rookie to seasoned pro! 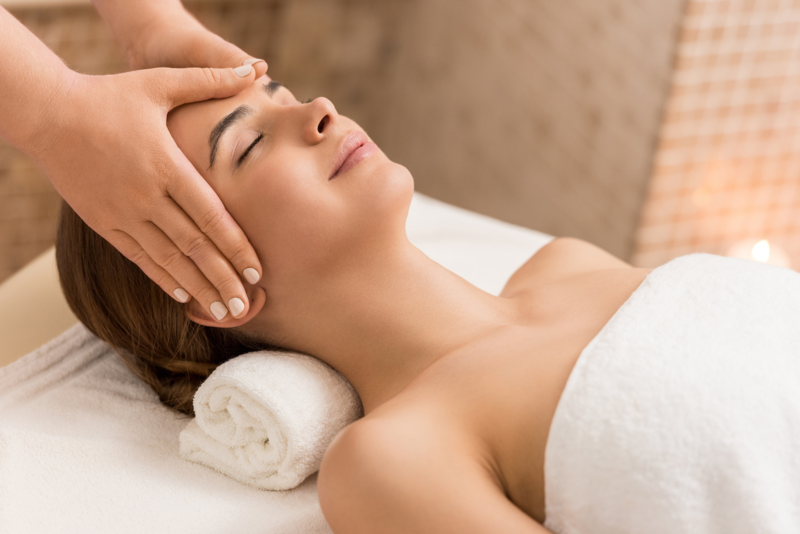 A professional massage is the perfect way to de-stress but there’s other benefits as well. Embrace the relaxation. We all know how effectively massages help your muscles relax but there’s more to it. A massage reduces levels of cortisol in the body which is a stress hormone that leads to trouble sleeping, headaches, and even weight gain. Control blood pressure. Over time, regular, professional massages an reduce blood pressure levels due to the tension, stress, and anxiety that is alleviated from massage. Improve circulation. Massages help improve blood circulation to the muscles and other tissues as well as improving lymph fluid circulation which helps to rid the body of waste products. Enhance the immune system. When your body is in a relaxed state, your sleep improves and the body is able to fight against bacteria and infections. Your immune system can become stronger with regular massages. Say goodbye to pain. As your massage therapist works on injured tissues, your body releases endorphins, hormones that act as nature’s pain killers. WHAT DOES MY MASSAGE THERAPIST WANT ME TO KNOW? Enjoy your massage! This is your time to relax so close your eyes, lay back and let us do what we are trained to do. Don’t worry if you catch some z’s – it’s a compliment if you’re relaxed enough to fall asleep. Don’t be shy – communicate. Let your massage therapist know about any injuries, illnesses, or areas of tenderness that you concerned about. You can address any other concerns at this time. We are there to listen to you! Yes, you can keep your undies on! Although we are trained in how to properly keep your body covered, you do what is comfortable for you. Passing gas is normal. Passing gas is the body’s sign that it’s relaxed and possibly even detoxing. This means we are doing our job correctly, it happens. Turn off your cell phone. To fully get the experience, there should be no distractions at all. Book your massage when it’s convenient for you and there’s no need to be available to anyone. Stay hydrated. Drinking water after your massage is important to reduce the chance of sore muscles. It also helps to flush out the toxins from your muscles. In fact, being hydrated before your massage will ensure your connective tissue are more elastic and will respond better to your massage, causing less aches later. Stay relaxed. Depending on the massage you receive and the tenderness of your body before and after, your massage therapist may recommend one of two things after your massage. To either take a hot bath to further relax and draw out the benefits of the massage or to take a gentle walk or jog to keep the muscles loose while still relaxing. Have a regular massage. You need continued treatment to be able to see lasting effects from your massage. We suggest every 4 weeks but your massage therapist can give you a more definite answer based on your body and your activity level. At the Glam Room, we offer 50 or 80-minute sessions for your convenience and needs. Come in for a free consultation to decide if you need a Swedish Massage, Hot Stone Massage, Deep Tissue, or Sports Massage. For those momma’s-to-be, we offer a Prenatal Massage which will gently relax your muscles and growing body. Make an appointment today at The Glam Room to experience the difference massage can make in your life. Our professional massage therapists will design the massage program and schedule that’s perfect for your individual needs. You can find us at 308 Delaware Street in Kansas City or call 816-605-1949. Want to instantly schedule an appointment yourself? Try our free mobile app, available for download at the iTunes Store, on Google Play, or on Amazon.